I'm pretty close to pulling the trigger on a Mooer Skyverb for �45 but was wondering if anyone had any other ideas that I need to be aware of with reverb? I'm more interested in crazy sounds than natural reverb as the spring reverb on my amp is rather nice, so 100% wet is a must for me. Not fifty quid though. Thought about the mini, but don't like the idea of it being tethered to my phone for fiddling. You didn't mention a budget other than the price for the Mooer--is that your budget? Yes. Amazon voucher dictates so. If you can go the used route for Amazon, you might look for a Zoom MS-70CDR or an M5. Lots of reverb options there. Or for new, maybe a Berhringer RV600 or Zoom G1on. The reverbs on the m5 were excellent only problem was the one I got kept cutting out and the only was to get it working again was to unplug it which is fine for home use but in the middle of a gig it's a major pain in the arse. Maybe you got unlucky, Debz; I've used the M9 live, at home and at practise for like 5 years without a single problem.. maybe I've been lucky?? Love dem verbs, that pedal really is a 'swiss army knife' kinda dealio. Had a quick look, hard to find. One US company is offering them. 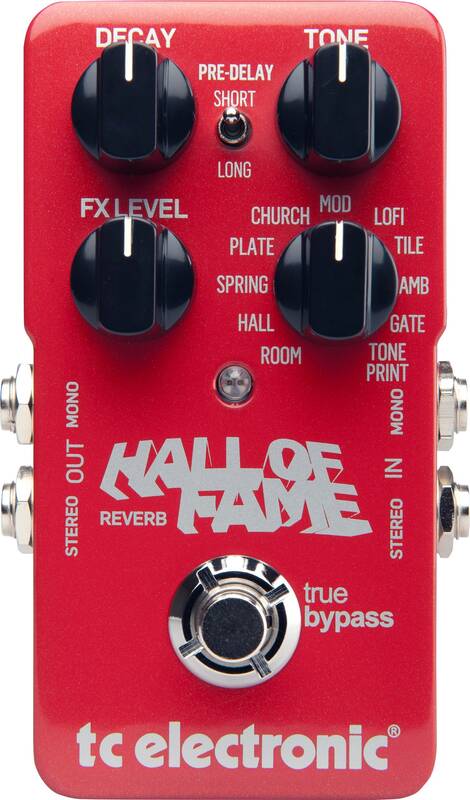 Ordered the Mooer. Shall demo tediously. Bring on the tedious demo... I look forward to it. Like anyone thinks that different reverb settings sound in anyway distinct from each other. It's all reverb ffs. Like you I use the spring reverb on my amp but I have been using a Behringer RV600 for years now as back up, it has a bunch of settings including shimmer effect and the spring is nice. It's never been cool with the kids but the old Zoom 507 offers loads for little money, providing you can find one. There are some decent delays on it too that can be mixed in with the reverb. What's the skyverb a clone of?